A friend from the west-side told me about Manakeesh, and it sounded intriguing. When I finally made it over there (for lunch to discuss an exchange of goods), who was in line in front of me but said recommend-or. Talk about ironic. The exterior (and interior) of this attractive cafe makes it seem upscale, while its menu prices scream "eat here!" Not that I need much more convincing, but I liked the vibe from the start. Barring one small issue (to come), I cannot wait to get back. You start in a line, tempted by the delicious looking desserts and coffee bar. As I was drinking coffee on the way in, I decided for forgo any more caffeine; as I am a savory over sweet person, I doubled up on the main courses, in lieu of all of the tempting piles of pastries. Underneath the blurry menu (it's actually blurry in real life-just kidding) – a dough rolling machine and a small brick oven. Things were looking good. The dough was put through a coarse roller and then sent through the finer setting three times before each delicious piece of flat bread was ready for toppings and the oven. They take a slice of uncooked dough, load the toppings on and throw it into the oven. Things were looking even better. The Lebanese fusion menu had many points of interest, but on recommendation of the vegetarian version with thyme (zatar) by someone much more informed than I, it had to be ordered. I did, however, opt for the combo: half zatar, half cheese. I was unaware of the size of these sandwiches and was skeptical about how filling a $3.25 vegetarian flatbread sandwich would be, so I took the liberty of ordering two additional meat filled sandwiches, the kafta and the shawarma. There were now five people seated at our table, with six sandwiches on the way. It threw the poor sandwich delivery boy for quite a loop, he must not be used to my style of ordering. Finally the long awaited flat breads started to arrive. By long awaited, I meant five minutes. The breads come out folded over like a Lebanese stromboli, and much larger than I had imagined. The combo below was willed with cheese (feta I believe), a strong thyme and olive oil blend, oil cured olives, and fresh sliced tomatoes and cucumbers. Simple. Perfection. I was wishing I had ordered two more of these, even though the serving size was more than ample. The thyme added the earthiness, while the salty olives and rich oil provided substance, and the vegetables added a much appreciated crispy snap and left a pleasant fresh flavor on your palette. Not to mention the bread itself. I was in love. It was light and crispy, hot out of the oven. I wish that more pizza places took note of how to properly cook dough. Nothing burned, the dough was a perfect medium-well. This was one of the best vegetarian items I have ever eaten. Definitely one of my favorites that I can remember. The shawarma was good, but I would probably skip it next time. Spicy sirloin strips with onion and tomatoes sounded better than it was. It was a bit runny, and the tahini (I believe) was too overpowering. Also the tomato on this one was half green. If a tomato is not good, it should not be served. The steak itself was fine, but after tasting the combo, I simply prefer the flavor profile of the vegetarian version. I can't believe I just said that either. 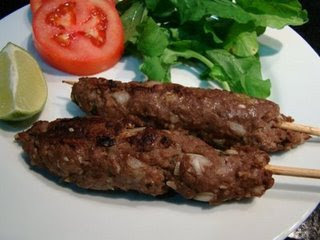 The Kafta (ground beef) was strange to look at, but was more successful than the shawarma. Although the meat was pink, I believe that was just the sauce on it. It looked like tartar, however, which was a bit off-putting. I was expecting a more traditional approach to Kafta. On my soon-to-happen next visit, I am going all vegetarian, as I think it really lets the flatbread itself sing. HA! 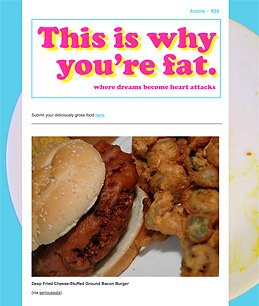 That Wendy's article link is magical. Who knew they had such high standards?! ?